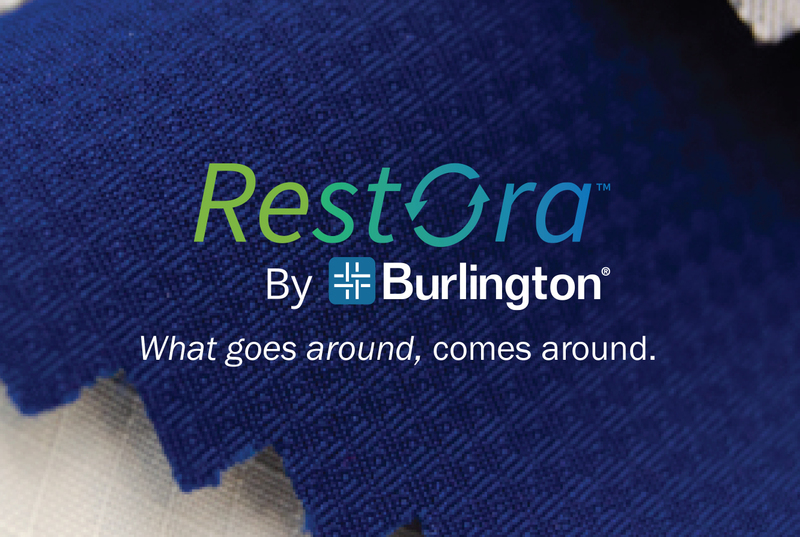 Burlington is excited to introduce its next evolution of sustainable fabrics called Restora™. The fabric collection provides renewable options for the eco-conscious outdoor enthusiast. Going forward, every new development in our Enthusiast Collection of performance fabrics will have 30% or more recycled content. The Restora™ collection features fabrics made from a variety of innovative recycled content. New sustainability partners Eco Circle™ and Seaqual™ , in addition to long-standing partners REPREVE® and THREAD™, provide a plethora of options for customers. “Brands and consumers are becoming more environmentally conscious and as a manufacturer, we have a responsibility to meet or exceed those demands,” says VP Technical Sales Development, Nelson Bebo. 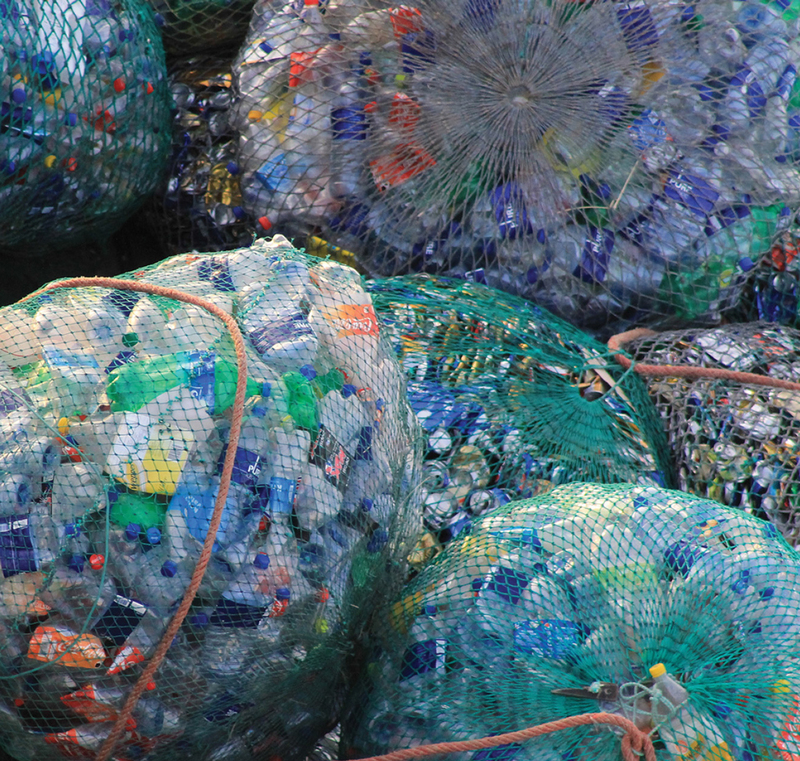 “As outdoor enthusiasts ourselves, we believe strongly that repurposing waste is a way for us to do our part to put the planet first,” he adds. Old garments ready to be recycled by Eco Circle and post-consumer waste in the ocean collected by Seaqual. Bottle waste collected for recycling by Repreve. JBT is a Bluesign certified facility. Eco Circle™: Jiaren’s Eco Circle (powered by Tenjin) uses a closed loop recycling system to give new life to polyester-based garments. Through a revolutionary process where additives and colorants are eliminated, recycled polyester is purified and returns to its original quality and function. Seaqual™: Using 100% post-consumer plastic bottles and plastic waste reclaimed from the Mediterranean Sea, yarns are created which contain 93% to 95% recycled PET and 3% to 7% ocean plastics. 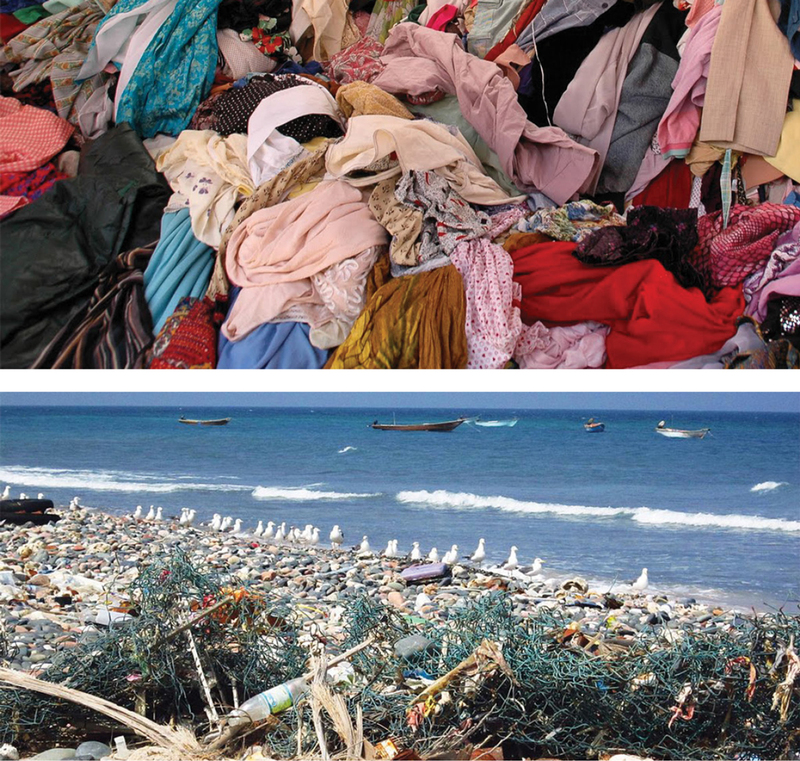 For every 1kg of Seaqual™ yarn produced, 1kg of waste has been removed from the oceans. REPREVE®: REPREVE® transforms pre-consumer fiber waste and post-consumer plastics into polyester and nylon fibers. When compared to making virgin fiber, making this fiber offsets using new petroleum, emits fewer greenhouse gases and conserves water and energy. REPREVE® provides a sustainable component for many ITG fabrics from denim to performance synthetics to durable contract fabrics. 1.8M lbs. of material into textiles, creating income opportunities for 3,500+ people in Haiti, Honduras, and Taiwan. Burlington operates as part of the International Textile Group, Inc. (ITG), which is a diverse, innovative provider of global textile solutions and distinguished fabric brands for the automotive, apparel, interior furnishing and industrial markets worldwide. 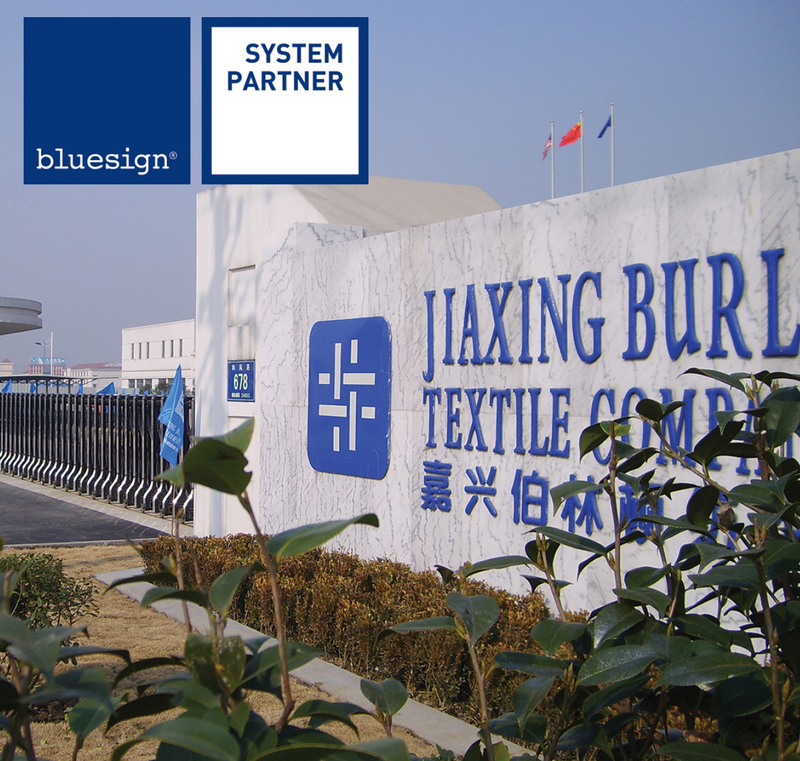 The Ultra-Filtration (UF) and Reverse Osmosis (RO) system at ITG’s Jiaxing Burlington Textile facility (JBT) is the first of its kind in the Zhejiang province and allows wastewater to be recycled for the manufacturing process. 30%-40% of JBT’s water demand is recycled. JBT has been designated as a model facility by the Jiaxing City Economic Development Zone and awarded the first Star Enterprise in Jiaxing for both environmental responsibility and hygiene performance. ITG’s Casimires Burlmex and Cone Denim facilities in Yecapixtla, Mexico utilize cisterns to collect rain water for manufacturing, which lessens demand on local water treatment and reduces the carbon footprint. ITG is committed to only using clean chemistry in the manufacturing process and has pledged to multiple sustainable initiatives and certifications including Bluesign, ZDHC, Oeko-Tex, and Higg Index. Burlington fabrics has been trusted to perform for over 90 years. Today, we continue our commitment to supply advanced performance fabrics to the apparel, military, activewear, barrier and contract markets around the world. Burlington parent company International Textile Group, Inc. (ITG) has worldwide operations in the United States, Mexico, and China. ITG’s business units include: Burlington, Cone Denim, Safety Components, and Carlisle Finishing. The firm has over 4,500 employees globally. ITG operates its business in a manner that protects the environment, minimizes the footprint of our operations, and promotes responsible stewardship of natural resources. ‍Read the full issue here.